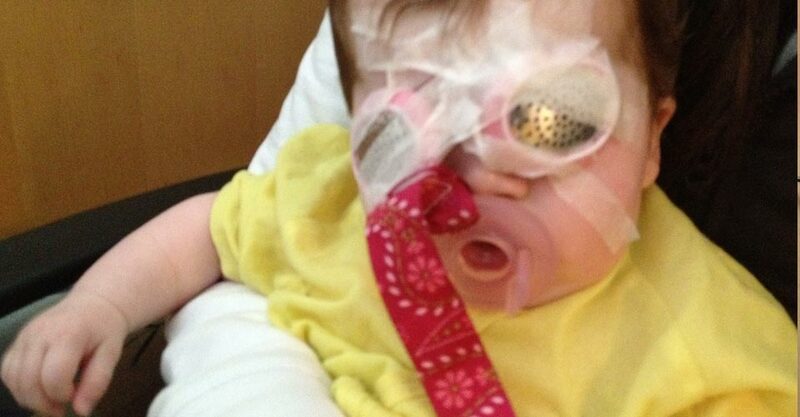 As I write this post Baby Violet is in eye surgery. Times like these are a reminder that I love that little girl so much and how easy it is to take her for granted. Daddys, next time you see you daughter remember what a precious little gift you’ve been given. Here in the waiting room there are other nervous parents who all love their little kids so much—when the comfort and predictability of life is shaken up you begin to see more clearly—you see what’s important. This verse was always mysterious, but I see that even though it’s hard and scary at times God uses it for good. These trials have brought our family closer together and more dependent on God to protect us. 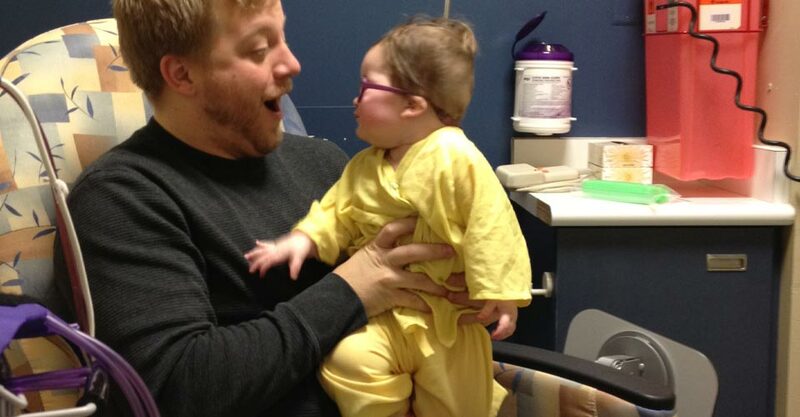 Thank you all for praying for baby Violet for her last surgery and recovery—she’s been doing great. I’ll post in the comments to let you know how she’s doing. We have the best doctor in the whole wide world. Based on what they could see from the outside Violet was only having vision problems in the right side, and the doctor decided to go into both eyes to correct a small problem and see how her eye is healing. When they were in there they saw that in an area they couldn’t see from the outside there was scar tissue growing that would be a big problem down the road. I’m very thankful for skillful doctors! Violet is healing now. 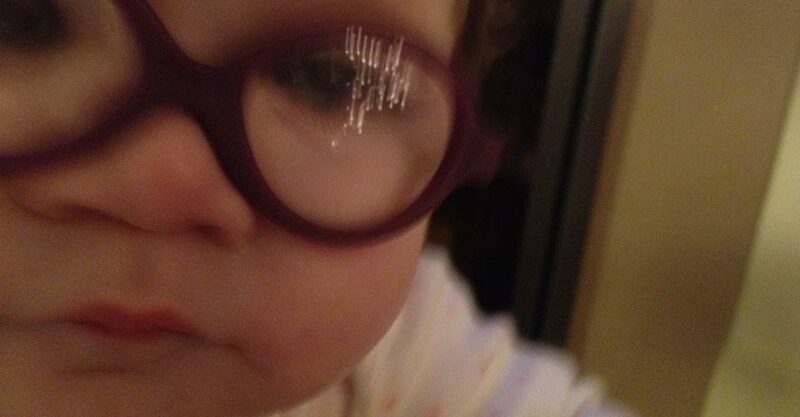 These metal shields only stayed on for an hour or two since she already has glasses that can protect her eyes.